How safe is a fingerprint security system really...??? 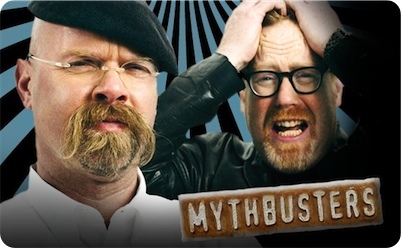 The 'Mythbusters' (you might know them from Discovery channel) strike again...! I believe the current best method being looked at works with the veins in the hands or fingers. Re: How safe is a fingerprint security system really...??? mooky wrote: I believe the current best method being looked at works with the veins in the hands or fingers. Thank you for this link Mooky!! I have a 5 pronged star pattern where the larger veins meet on the back of my right hand. Since I point with my right hand while I'm reading hands, people often comment on it. Just a few weeks ago in another topic I uploaded information about the formation and patterns of the veins on the palmar side of the hand. I had originally read about veins in the hand a few months ago while doing some research. I had not read before about the back of the hand either. I just did a quick search last night and posted the first link I found. Perhaps in the end a secure system will rely on a multi-perspective system. Prints and veins in combination for instance. Maybe DNA sampling. mooky wrote: Perhaps in the end a secure system will rely on a multi-perspective system. Prints and veins in combination for instance. Maybe DNA sampling. bio metric is not a reliable method and is all ways used in combination of other authentication methods.